Glenfiddich Ultimate represents the pinnacle of our exceptional whiskies, distilling 125 years of experience into an exclusive and rare expression produced in small vattings. 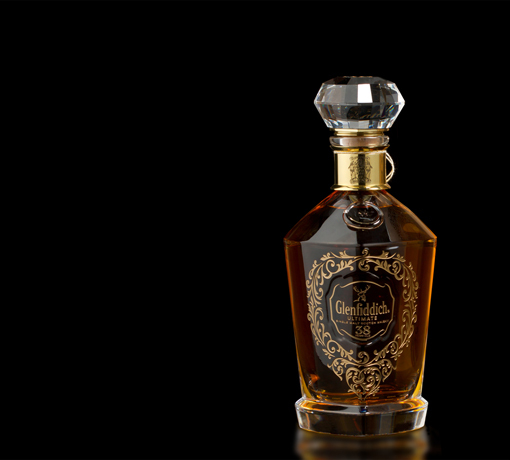 Aged 38 years old, this sublime single malt comes in a special decanter ornate with an intricately cut heavy crystal stopper. 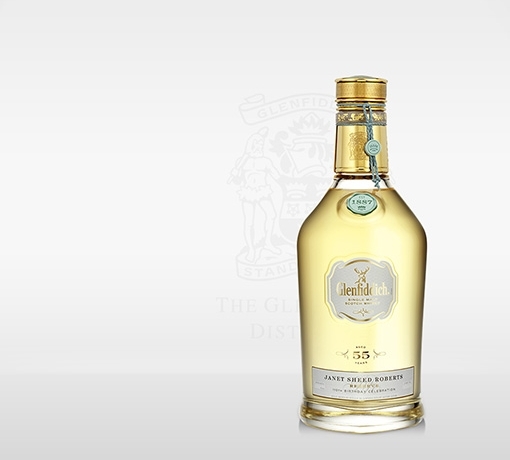 Each bottle is hand-numbered and accompanied by a brass identification card. 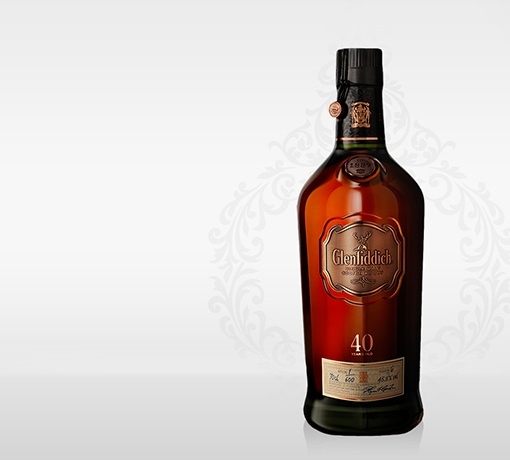 This expression is deliciously smooth and the colour of rich gold, with a wood spiciness imparted by sherry butts, complemented by layers of creamy vanilla and rich flavours of caramelised fruit. Exclusively available in selected outlets in China. Vibrant oak notes with a rich vanilla toffee aroma. Fresh summer fruits intensity and a delicate floral character develop with time. On the palate, a wood spiciness from the sherry butts shines through, complemented by layers of creamy vanilla from the bourbon barrels and rich flavours of caramelised fruits. Beautifully soft and sweet with a velvety texture and mouth coating oily tannins. Velvety, long, memorable and with a rewarding sweetness. 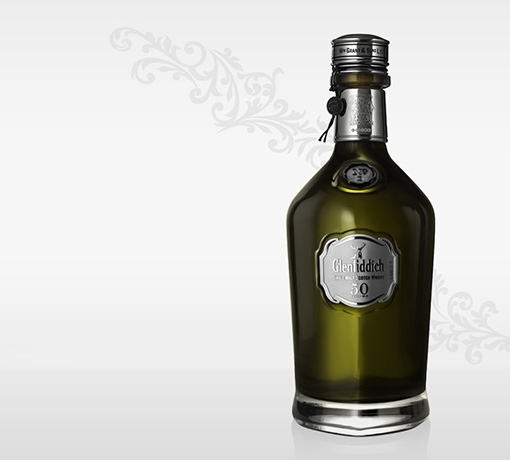 Each Glenfiddich Ultimate luxurious decanter is made to the highest possible standards. The polished flawless glass is sandblasted by hand before being precisely hand-engraved by experienced Master Craftsmen. 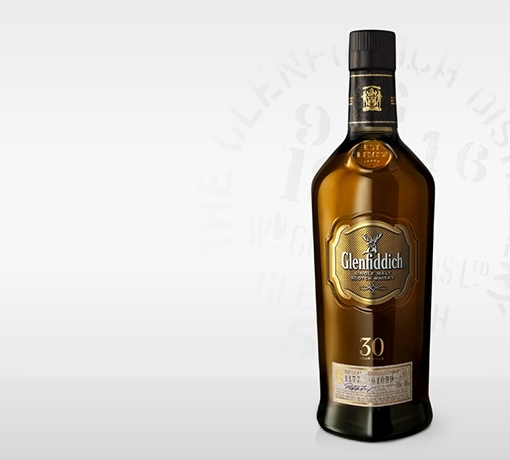 With each drop aged for a minimum of 38 years, the spirit in Glenfiddich Ultimate has been matured in a harmony of American oak barrels and European oak butts. Each cask adds its own unique flavours and subtle notes, gleaned from nearly four decades in the finest quality wood.